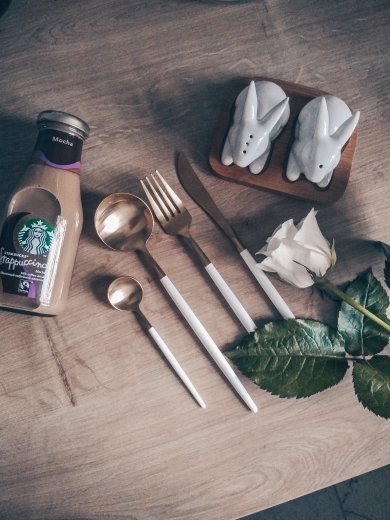 Sleek and elegant white handles with pointed corners similar to chopstick designs, our gold silverware set isn't just for company; the stainless steel makes it sturdy enough for everyday use even though you may be tempted to save it for special meals. Made of low-maintenance stainless steel, this chic cutlery set boasts an elegant design that will surely lend a touch of modern vibe to your table setting. lots of Thanks! very good quality and design!❤ very Happy! many thanks! Набор потрясающий. Очень качественно сделано. Приборы тяжёлые. Буду брать ещё.